The site is about a mile to the east of the village. 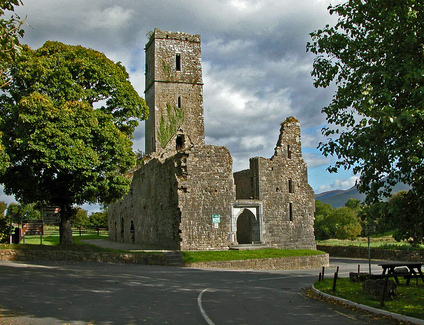 Remains: the church and tower are complete, but nothing remains of the convent. Galbally was a late Conventual foundation, begun in 1471. After its suppression in 1540, the new owner, the Earl of Desmond, left the friars in peace until Sir Humphrey Gilbert burned the building in 1569, and Sir Henry Sidney again in 1570. 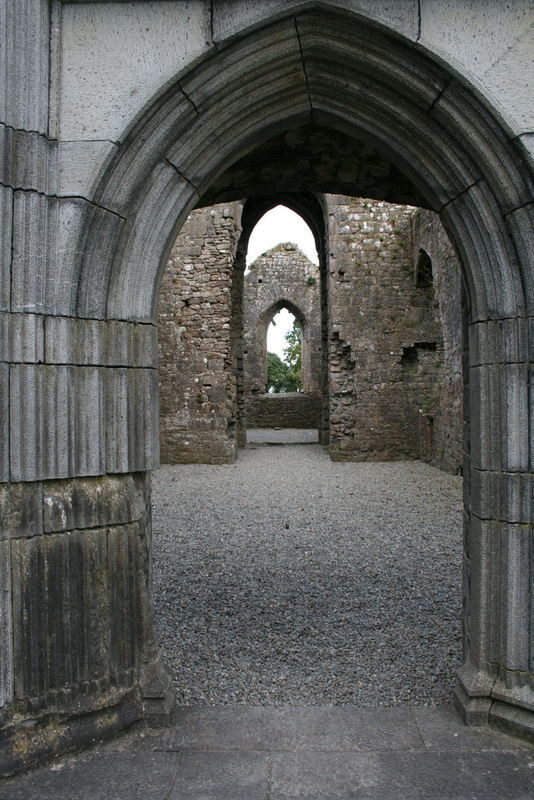 The friars did not return until 1645. Expelled by the Cromwellians, they were back in 1658 and remained (with a short break during 1680-4) until 1748. Following a rather complicated dispute with Fr. James Butler, V.G. 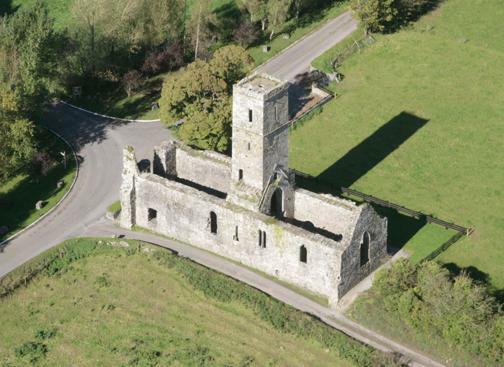 of Cashel diocese, the friars of Galbally withdrew across the mountains to Mitchelstown, where the last friar of Galbally community died, probably in 1804.